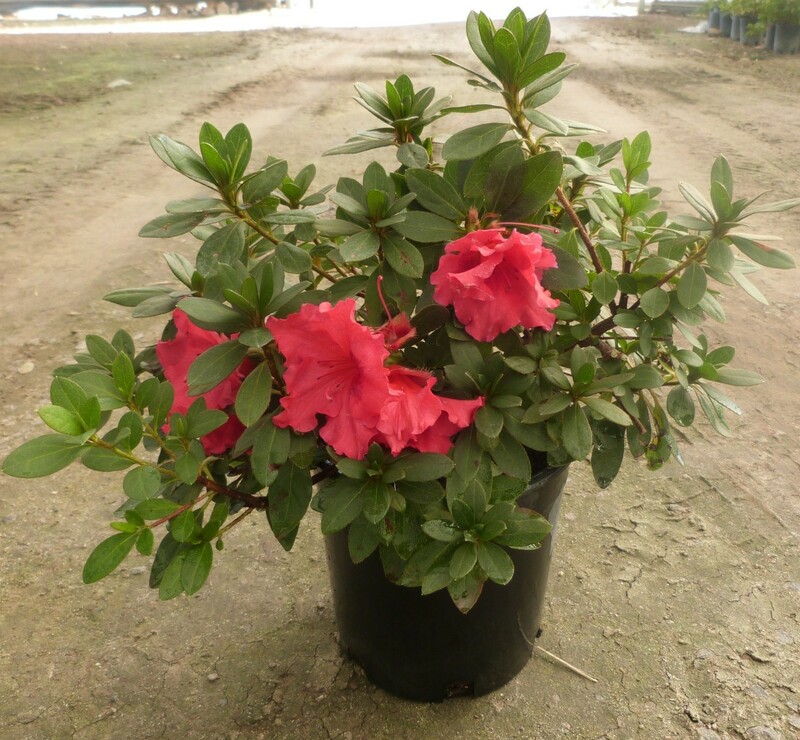 This compact, spreading azalea is perfect for smaller urban spaces and containers. It was bred primarily for reduced size and cold hardiness. So if you live in a colder climate, ‘Red Bird’ is a reliable azalea section for you. Plants produce deep, glossy green leaves which offer a nice backdrop to its showy red flowers. Flowers are better than just red; they are a vibrant orange-red accented with maroon blotches. Flowers are usually grouped in clusters of one to four flowers, which begin to emerge in April through June, depending on your climate. Excellent as a small backdrop for shade perennials and groundcovers. As with all azaleas, ‘Red Bird’ prefers well-draining, acidic, rich soil. While azaleas can suffer from a number of pests and diseases, many can be prevented by planting in the right location and good maintenance care. Azaleas are often planted in deep shade, which can weaken plants and encourage problems. Azaleas can tolerate some direct sun and it typically helps plants perform and bloom better. Manage your water and keep soil healthy and you’ll be rewarded with good looking azaleas.